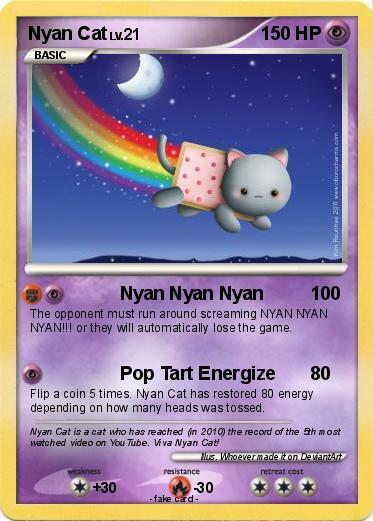 The opponent must run around screaming NYAN NYAN NYAN!!! or they will automatically lose the game. Flip a coin 5 times. Nyan Cat has restored 80 energy depending on how many heads was tossed. Comments : Nyan Cat is a cat who has reached (in 2010) the record of the 5th most watched video on YouTube. Viva Nyan Cat!